The Sierra Leone developed a NAP for the period 2010-2014. As of November 2016, no new NAP has been launched. The NAP was developed by a collaborative process and was conducted by a Government-Civil Society Task Force, led by the Ministry of Social Welfare, Gender and Children's Affairs and included government Ministries, UN agencies, Civil Society groups including women's NGO's, research bodies and the media. The NAP was drafted following the findings of nationwide mapping survey which sought to establish a baseline of existing initiatives on UNSCR 1325 and develop a plan that could integrate dispersed and uncoordinated efforts and build new actions. The Government-Civil Society Task Force held monthly meetings throughout the drafting phase and conducted regional and national consultations across Sierra Leone. The NAP is set in a post-conflict and recovery context, following the 1991-2002 civil war that ended with the signing of the Lome Peace Agreement. Systematic abuse of women and girls during the conflict, and the exclusion of women from peace processes are identified as concerns for post-conflict recovery and reconciliation in Sierra Leone. As such, the NAP seeks to nationally implement both UNSCR 1325 and 1820. From a recent academic analysis: The Sierra Leonean NAP includes detailed budgets on what is required for implementation as well as for monitoring and evaluation. Yet, the sources of funding are not specified – although the NAP does identify of potential sources of donations including multilaterals (such as the UNDP or the World Bank), bilaterals (such as China), the private sector, NGOs, and government agencies. A very unique feature of the NAP was that it summarizes the main findings from a baseline survey that the Civil Society National Task Force conducted, gathering information from 697 organizations, on the institutional environment for the implementation of UN WPS resolutions (Miller, Pournik, & Swaine, 2014). WILPF International does not have a country section in Sierra Leone and therefore was not involved in the development process of Sierra Leone’s NAP. The NAP was developed in close partnership between government and Civil Society Organizations and it is articulated within the NAP that full implementation must to continue adopt the same inclusive approach. Beyond an ongoing strong role through the Government- Civil Society Task Force, which is elaborated in Pillar IV, there are no further strategies articulated. Women’s Civil Society Organizations are also actively engaged in supporting implementation, oversight and monitoring of the NAP independent of formal government processes. Development was led by the Ministry of Social Welfare, Gender, and Children's Affairs. A Committee was formed with the involvement of relevant civil society and government ministries. A Steering Committee led by the Ministry of Social Welfare, Gender, and Children's Affairs is tasked with heading up the monitoring and evaluation process. Prosecute, Punish Perpetrators effectively and Safeguard Women and Girls' Human Rights to Protection during and post conflict as well as Rehabilitate Victims/Survivors of SGBV and Perpetrators. Participation and Representation of Women. Monitoring and Evaluation of and Reporting on the National Action Plan. Contribute to increased Protection, Empowerment and support of Victims and Vulnerable Persons especially women/girls. Reporting of SGBV cases at national and community levels increased Health (psychosocial) economic and legal and support provided to vulnerable persons including victims and survivors. Improve health -care delivery services, conditions of services for medical personnel; equip health care facilities and training on SGBV issues. Lobby for lawyers to be available at regional and district levels and ensure sustainability and incentives to provide legal services to women and girls. Role modeling/mentoring school age girls to stay in school complete and perform well. Although the period of the NAP is from 2010-2014, Sierra Leone does not specify timeframes for each sub-activity. The NAP does not have a dedicated budget, but includes a projected cost of the NAP is USD $21,301,314. The NAP includes a budget for the implementing the Monitoring and Evaluation strategy at USD $1,625,750. The government recognizes within the NAP that it holds the primary responsibility in providing funding for the plan, and commits to specified progressive increases in overall funding within the Results Framework. However, it is recognized that funding will need to be sought from national and international donors, public, non-government, faith based and private sector. The NAP also includes the need to include private citizens in fundraising activities in order to enhance local ownership of the NAP. The Ministry of Social Welfare, Gender and Children's Affairs is tasked with the lead role in fundraising activities and coordination of donors. Percentage increase in the number of cases reported to law enforcement agencies. Information management and dissemination systems developed. Percentage increase in number of victims having access to legal aid. The Ministry of Social Welfare, Gender and Children's Affairs is responsible for steering the overall Monitoring and Evaluation process which will occur at multiple levels. The National Steering Committee will review progress on the NAP’s implementation, make recommendations to enhance its success and update the government, UN, and donor community. A core technical group comprised of government bodies will provide support to the National Steering Committee by gathering and analyzing national data. The group is comprised of government bodies. The Regional Gender Office will monitor implementation on the regional level, collaborating with the regional judiciary system, Family Support Unit, the Provincial Secretary’s Office, Regional Minister’s Office and NGOs. A Regional Steering Committee will collect and analyze data and prepare reports to the National Steering Committee. Local Councils will chair District Steering Committees supported by the District Gender Offices. They will provide reports to the Regional and National Steering Committees and coordinate efforts on the community level. Councilors, Chiefdom Police, village leaders, and community women’s organizations will gather and provide data at the district level. Ward committees can also coordinate community level efforts. The NAP does not articulate the composition of the various Steering Committees. It is not stated in the NAP if these documents are to be made publicly available or disseminated beyond the various Steering Committees and concerned Ministries. Civil Society has concluded an independent monitoring report, coordinated by the Global Network of Women Peacebuilders, which you can view here. The NAP elaborates on risks for implementation and evaluation which including, institutional readiness, technical capacity, data storage and management and financial constraints. The NAP identifies strategies to mitigate against these risks, which includes advocacy, capacity building, the development of a database and data storage and management guidelines and fundraising activities. The costs of these activities are included in a Budget for Monitoring and Evaluation. 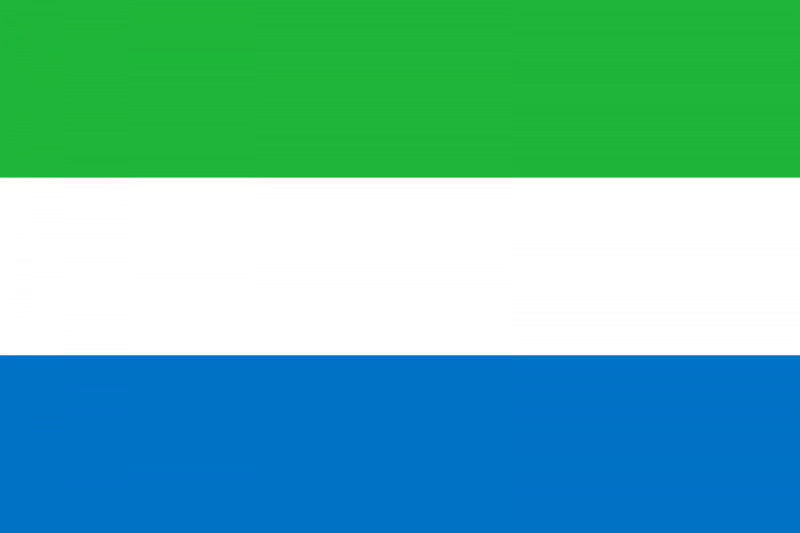 Despite a recent history of conflict that involved small weapons, there is no mention of disarmament, small arms, or illicit trade in Sierra Leone's NAP.